It's that time of the month again! No not "that" time... Monthly favorites time! I feel like the month of September just flew by. Since I've been living with very few beauty items, it's pretty easy to point out what I've been really loving this past month. I had to pack only ONE palette (that's the limit I gave myself) and so I opted for Urban Decay's Naked palette. Owning all 3 from the line, I had neglected the original throughout time. I must say, it was like falling in love all over again. I picked this one, although I didn't feel it was my favorite at the time, simply because I feel it is more versatile for me than the others. It's definitely going to keep getting more lovin'. With the versatile/practical theme, I had completely forgotten to pack brow products. Luckily for me, I also brought my Maybelline Color Tattoo in Tough As Taupe. I've never tried the Anastasia Dipbrow Pomade, but I assume this could possibly be a dupe for it. If I over do it, it can look a little too light on me, but I'll mix it with a darker color from the Naked palette (they all have a bit of glitter but I swear it doesn't show up!). Tough As Taupe has always been a favorite product for my eyes, but now I've rediscovered it in a whole new light. DOUBLE TROUBLE! Since I am slightly obsessed with fall and vampier shades (as you saw from my nail selection), I needed to make sure I had a nice deep lip color. 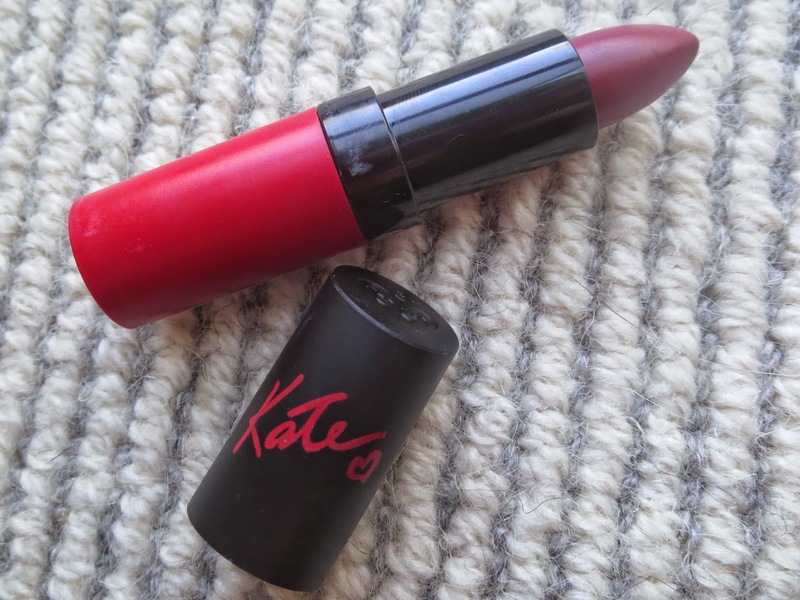 I got my hands on the Rimmel Lasting Finish Matte by Kate Moss in the shade 107, and have been wearing it pretty much every night out this month. 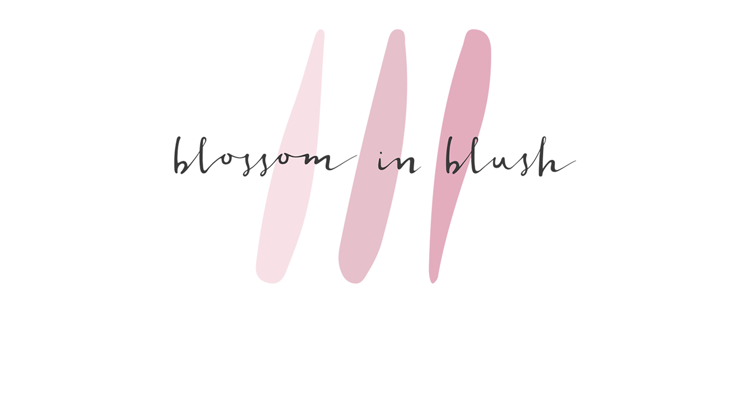 It is the ultimate fall color, I am so wonderfully in love with it, and I get compliments every time I wear it! 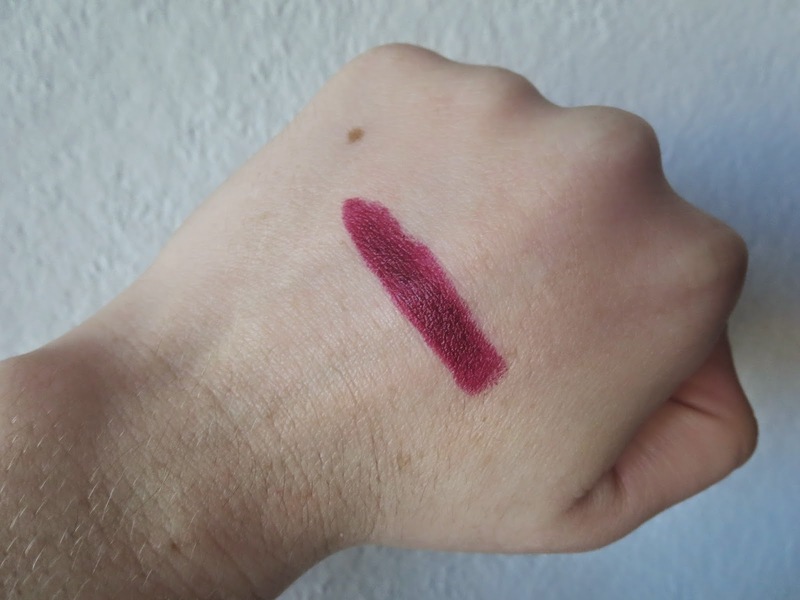 It's just this gorgeous deep berry shade and the formula goes on smoothly, is long lasting and non drying at all! Come to think of it, it pairs quite nicely with Essie's Bahama Mama...Have I just one fall? YES. Now you might remember I got a nice little Origin's kit in exchange for 500 Beauty Insider points. Let me just say it is all AMAZING. But again I left some parts of it in a box, and haven't used all products as much. I've already talked about the eye cream and how it's a tired eyes' dream (I'm a poet and I know it), you can read this beauty 911 article HERE. But the matching face cream is B-E-A-U-T-I-F-U-L. 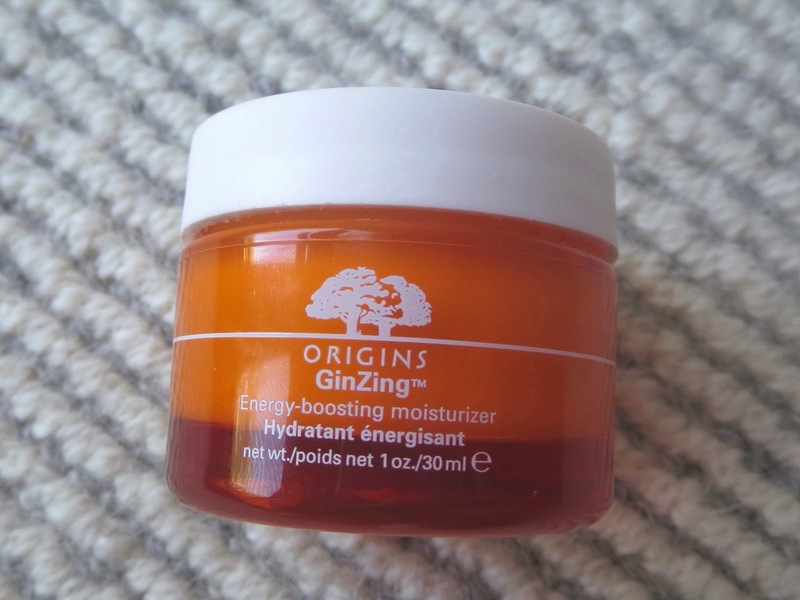 The Origin's Ginzing Energy Boosting Moisturizer is the perfect daytime cream for all skin types. It has a gel cream consistency that my combo skin drinks up, leaving me moisturized and not oily at all! It smells just so heavenly, a nice citrus-y scent, that's really pleasant in the wee hours of the day. I feel like it also refreshes the skin, as it's looking healthy and bright. 5/5 would repurchase when this generous sample runs out. If you're going to be in the sun though make sure to also wear sunscreen as this cream does have an SPF unfortunately. And those are my top picks for this month ladies and gents! What are some of your favorite beauty products as of lately? Stressed out? Benzagel's got you covered!